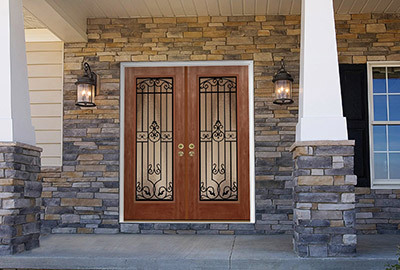 If you’re looking to improve your home’s energy efficiency or trying to improve your curb appeal, a great place to start is with your exterior doors. They go through extensive wear and tear, so durability and longevity are very important. Choosing a company with fantastic products and a professional installation team is crucial to making your project a success. Feldco offers a wide array of exterior doors to meet any style. 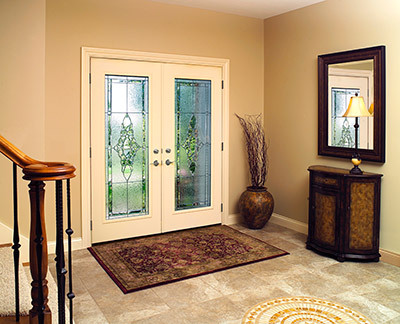 Our doors are designed with Rockford’s weather in mind and maximize energy efficiency. They will keep you comfortable year round. Feldco’s entry doors will make a statement about your home and our fiberglass options are both beautiful and energy efficient. There are a variety of wood grains and colors available so you can design the perfect door for your home. Feldco also offers a steel entry door which has a different look than fiberglass doors and with great color and finish options. Both styles from Feldco will provide you unmatched strength and durability while improving the curb appeal of your home. 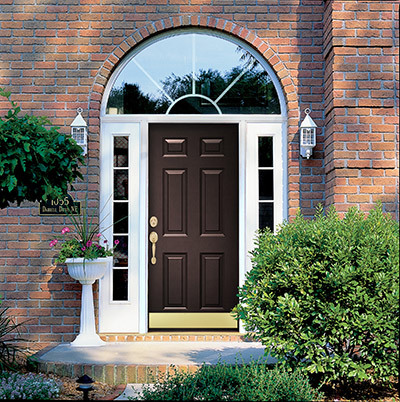 Protect your exterior door with beautiful storm doors from Feldco. Rockford winters can be brutal and take a toll on your home. A storm door creates a barrier between your entry door and the outside protecting it from the elements including rain and snow. This barrier also provides another layer of insulation, improving your energy efficiency. Storm doors are great for the summer as well. Some doors allow you to replace the glass with a screen to allow fresh air into your home. 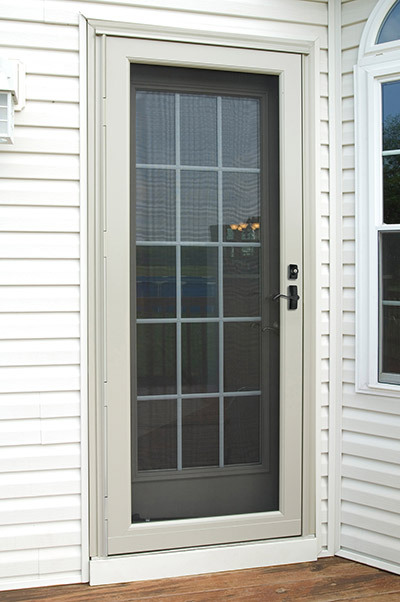 Other styles of storm doors have retractable screens.There are a variety of colors and designs so that your storm can accent your home and improve your curb appeal. 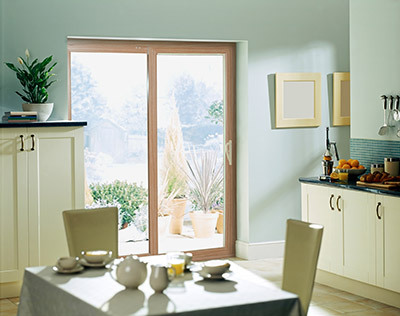 Add a little style to your home with our beautiful patio doors. These stunning doors allow for easy access to your backyard or deck and increase the amount of light you let into your home. Both styles – french and sliding – are of high quality and are energy efficient. French patio doors are a gorgeous option that will give dimension to any room. 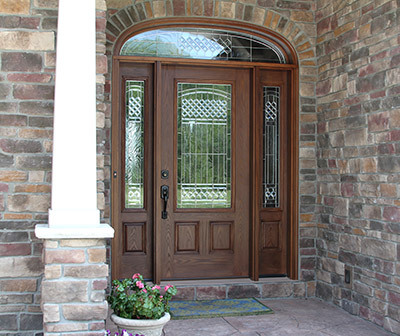 They can swing inward or outward from your home from your home and choose from any french entry door style. If space doesn’t permit a french patio door, there is still the equally beautiful sliding patio door. Rather than swing, they slide on a track. With the great light and ventilation options, you’ll love your sliding patio door. No door is complete without a great installation team setting it up. Your installation team is factory trained and certified, guaranteeing you’re receiving the best products and installation in the industry. From removing your old door to setting up your brand new one, no detail is too small for your installation team. Once they have finished the job, no mess will be left for you to clean. The entire process will leave you delighted and you’ll love your new exterior door. Choosing Feldco for your home replacement project means you want the process made easy and efficient. 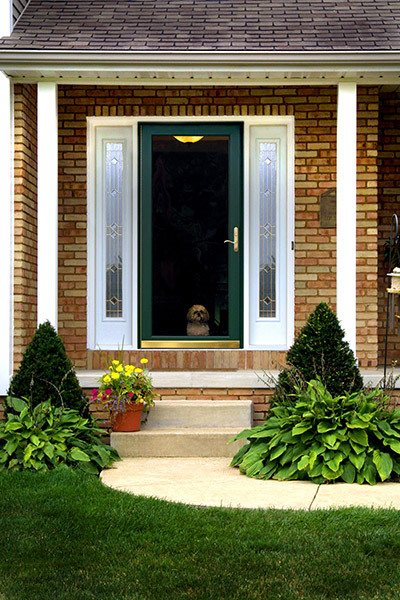 There are many options for exterior doors so we want to prevent the decision from becoming overwhelming. Our Product Specialist will set you up with the style door that best suits your home. From there the installation team will make sure your door is installed expertly and you are delighted. We aren’t finished there: with our Limited Lifetime Warranty, Feldco will continue to support you and your investment. This is why we are Rockford’s number one door replacement company.